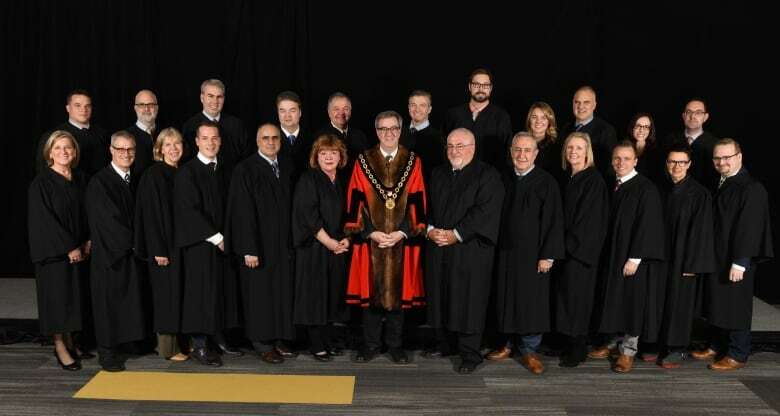 As he took another oath of office Monday night, Mayor Jim Watson said he knows council has much work to do on issues such as discrimination and poverty. 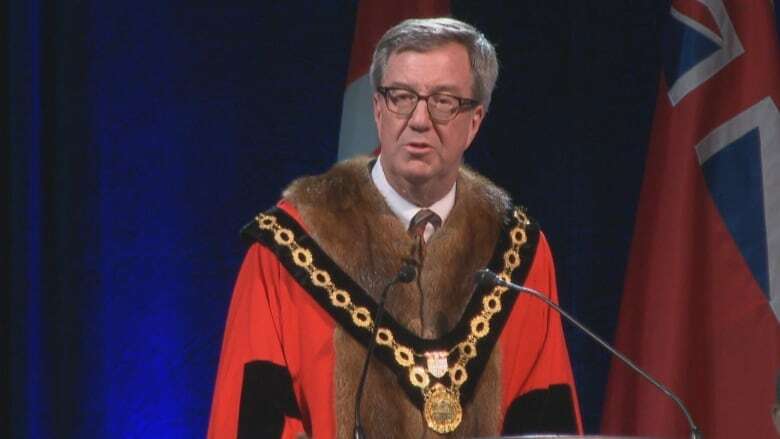 As he took another oath of office Monday night, Mayor Jim Watson said he knows council has much work to do on issues such as discrimination and poverty, but Ottawa is still the best place to call home. Watson told the assembled crowd at the Shaw Centre that he is often stunned by the amount of kindness he sees from people in Ottawa. He said there are also tremendous challenges that he hopes to address. "Too many of our fellow citizens are not properly housed, or we still see signs of racism, sexism and homophobia in our city, or young people turning to guns to settle scores," he said. Seven new faces at the council table were also sworn in, along with 16 returning councillors. Watson said he expected it to be a good mix. "There is a good balance between new people with some new ideas and some steady hands who know the city," he said. He acknowledged many of the councillors may have different ideas on how to solve problems, but said he is confident everyone is looking for solutions. "We all want a better city for the residents of today and for those of tomorrow," he said. "That should be our collective and aspirational goal, to leave our city in better shape than we found it."